← Day 207: Look Ma! I’m A Bulgarian Choir! 1) Airbourne, your sound guy hates you. Or loves bass drum. Or both. 2) The whole ‘let’s put Jedi as our religion on the census form‘ thing was an internet hoax. Didn’t you get the email Bruce? 3) You’re never too old to rock Janick. But you’re definitely too old to skip around the stage like Hannah Montana. 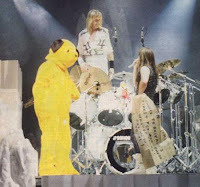 4) Just once could we have a tiny Eddie on the front of Nicko‘s drums and a huge anamatronic Sweep at the back of the stage? 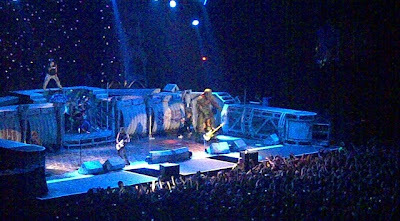 5) Are you sure you need that many amps Airbourne? When Rob Huskinson said “All the lights were on, but I suspect dummies were involved.” I assume he was talking about the backline. 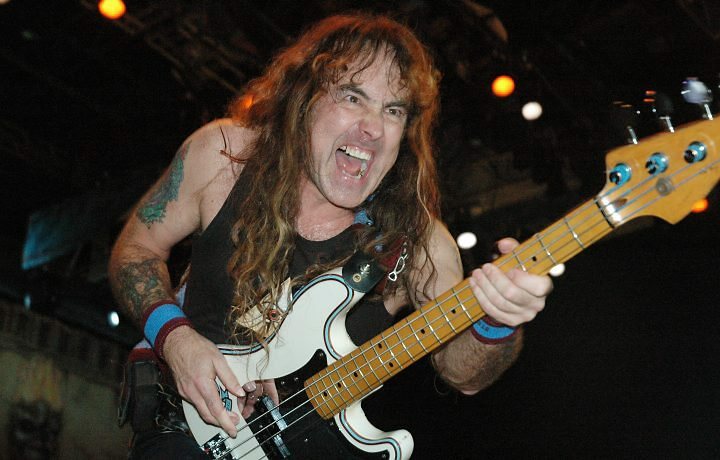 6) Steve Harris rocks so hard, even his bass sweats. 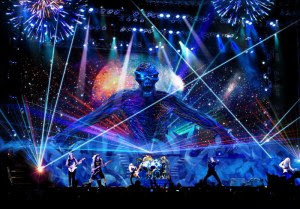 7) Sheesh, I thought Christians were bad at clapping in time, but Iron Maiden have the most arrhythmical fans on the planet. How do you stay in time when thousands of people are clapping ten beats per minute faster than you and accelerating rapidly, Nicko? 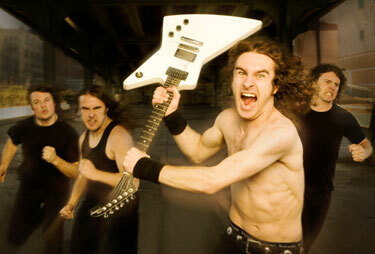 8) Airbourne. When you’re called ‘Airbourne‘ it’s probably not great to have a giant truck as your stage backdrop. No, the fact that one wheel is a few feet off the ground doesn’t count. 9) Some of the semi-naked moshing swerved past male bonding and crashed into foreplay. Fat semi naked guy, your concern for younger moshers was touching but now I feel all creeped out and dirty for just looking at you. 10) If you’re writing a song about the devil 5/4 time is good. D mixolydian, not so much. Roger Murtaugh, I know how you feel. SCREAM FOR ME NOTTINGHAM!!!!! Download my new song: Faithful & True for free!!! This entry was posted in Uncategorized and tagged Airbourne, Iron Maiden. Bookmark the permalink. Good spot on the inability of the entire arena to clap in time! Glad I'm not the only one who thought so. Thanks. Though to be honest it was very hard to ignore!